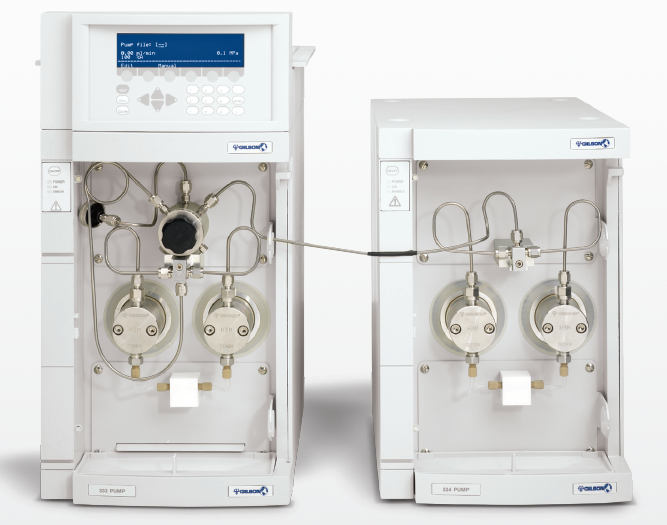 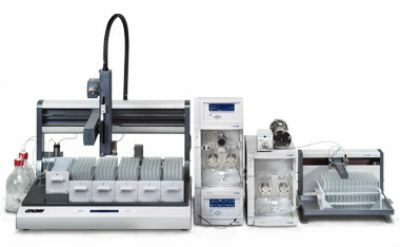 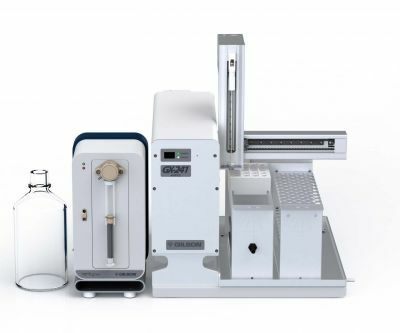 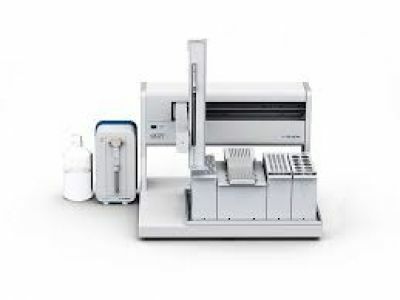 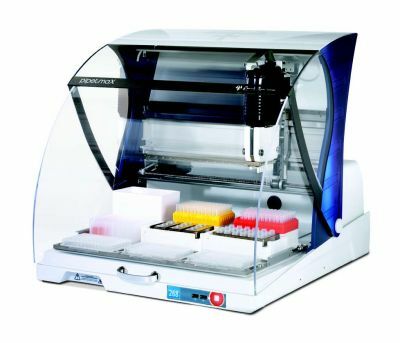 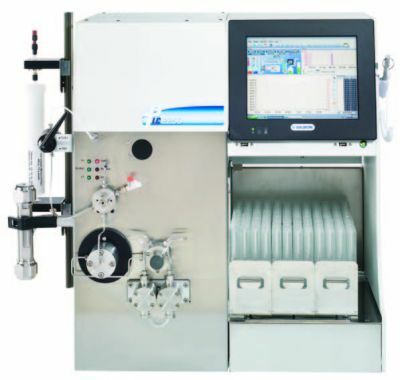 Capable of milligram-to-gram level mass-throughput per injection up to 15 g depending on column size and loading capacity at flow rates up to 200 mL/min. 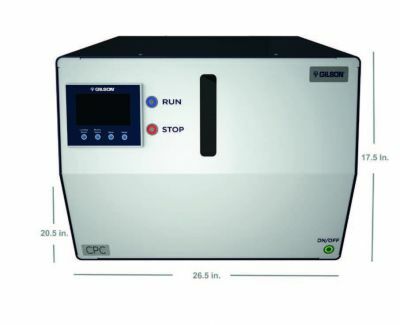 Integrated keypad control for standalone operation. 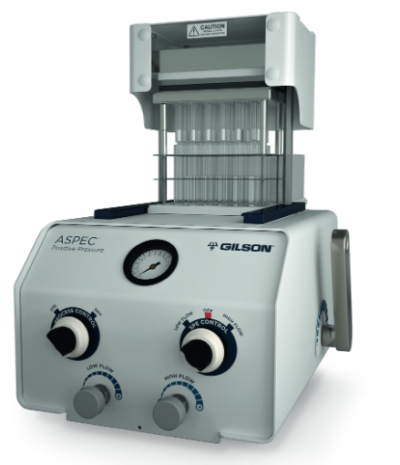 Ability to operate additional pumps in parallel to double the flow rate up to 400 mL/min. 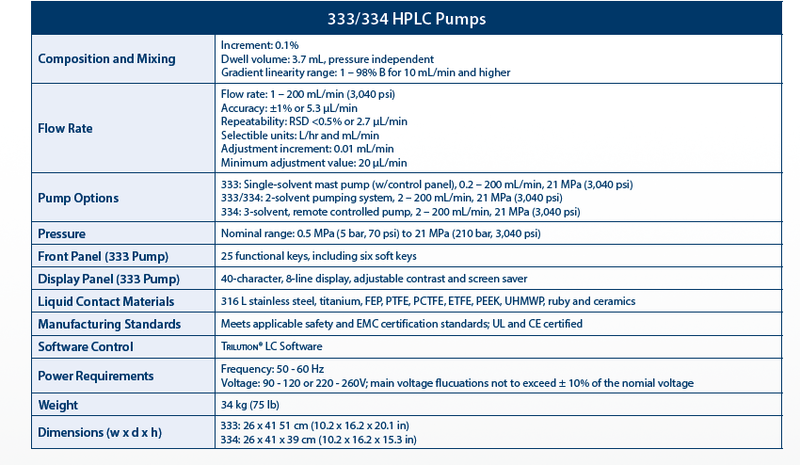 Composition gradient with highpressure mixing: 333/334 binary system (third pump for ternary); solvent selection on each pump with optional 4-solvent valve accommodating up to eight solvents. 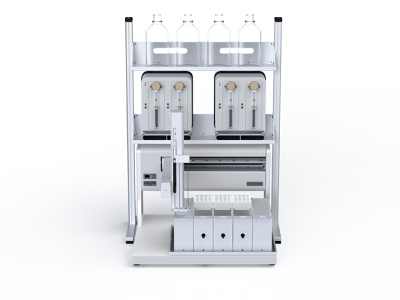 Stackable to conserve bench space.